Here is what others have had to say about Dancing Man Studio! Jade is absolutely amazing!! She is a very down to earth person. Her photos are completely breath-taking. She has a unique eye that sees the world through her lens that the rest of us are unable to see. I can't wait for my next session with her!!! She captures so much more than just images! Very patient with our little girl and she took excellent pictures. Jade is a great photographer! 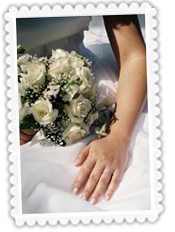 We hired her for our wedding and she has such a creative energy and was a pleasure to work with, highly recommended." "On May 25th, I had Jade Gliser do my wedding photos. I found her almost a month before the wedding and fell in love with her beautiful work and personality. I was so very pleased with her work, and the communication that we kept before the wedding, during the wedding and after the wedding. I am excited to get the finished copies of my wedding photos completed. I also have a baby on the way, I am definitely going to consider Jade with any further photography in the near future. 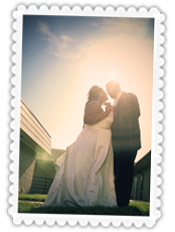 I would recommend Dancing Man Studio to anyone needing professional photography." Jade is wonderful. She has done two sets of engagement photos, my wedding, and milestone photos of my daughter. She is so patient and kind especially when working with children (babies). She is very personal and amazing to work with! Jade at Dancing Man Studio is amazing! She is flexible, friendly, and so creative. She recently did photos of our wedding day. While I was running around like crazy she never missed a beat. She captured every single precious moment in a variety of ways. Her candids were classic. Her traditional photos were stunning. I was so happy we chose Jade to photograph our big day. 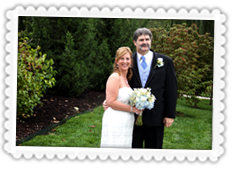 She edited our photos quickly, and was delightful and easy to work with. We were so glad we chose Dancing Man Studio. I have never worked with a photographer that can articulate the love or feelings that couple has for each other in a photograph. She is extremely artistic , and it shows through her photography. She is patient and captures the feel of the day. She does not rush, she takes the time to make you feel comfortable. It was a pleasure to work with her, her prices are affordable and you get way more than you pay for. Everyone we have sent to her have been totally satisfied with the end product. When you work with Dancin Man Studios, you will know you have worked with a true professional! "Dancing Man Studio did photography for my wedding on Oct 15th 2011. Jade was great, she took all the photos of the things I wanted she also gave us some good ideas and poses to do that look great in pictures. She was very fun and easy to work with, which is great because that made me and husband comfortable for all the photos. She gave us the copies of all our pictures on a disk, she also gave us an album of the edited pictures that turned out amazing. I was very pleased with Dancing Man Studio and Jade's work. I would definitely work with her again and recommend her to anyone." "Really good photographer, sweet and always takes beautiful pictures. Down to earth and very easy to work with. Very daring and creative love her work! " "Great photographer.. works to make you comfortable and happy with the work you create together. Goes outside the box and is not afraid to push the envelope. Easy to work with, accommodating, and creates an overall excellent experience. Both times I have worked with this photographer have been fun and the results have been amazing! Can't wait to work together again!" "The stuff I've seen her do with editing is amazing. She's got a great eye, but I'm more impressed with her control over lighting in shots I thought were junked, tucking in skin that's hanging over, and even merging multiple photographs into one." “Jade came highly recommended to us by a close friend. She is a talented individual who produced top notch work. She was great to work with and easy to talk to. 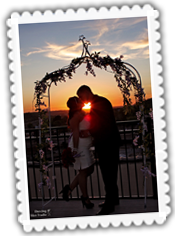 We highly recommend Jade to anyone looking for a photographer." If you have worked with Dancing Man Studio in the past and would like to add a review about your experience, please email them to jade@dancingmanstudio.com.